Today, in the always connected world, a company’s website is a major source for B2B sales leads. Most product or service needs to be demonstrated or presented to the prospects by the sales or pre-sales support team in a meeting. 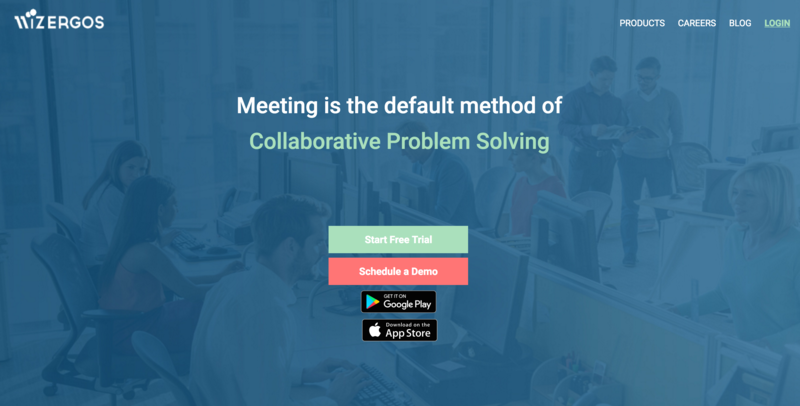 Scheduling these meetings is often time consuming, error prone, increases sales cycle time, and reduces conversion rate. Now you can automate this whole process and increase your lead generation, reduce sales cycle time, and improve conversion rate. First let me show your prospects journey when she visits your website to learn about your product or service. 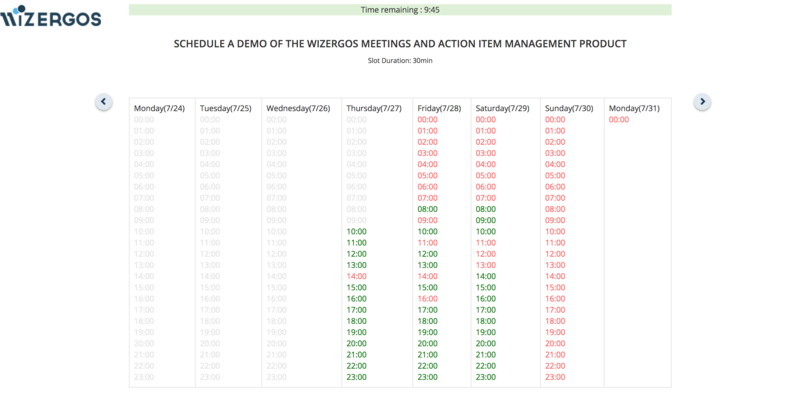 In your website you can add a button to “Schedule a Demo” or “Schedule an Appointment”. 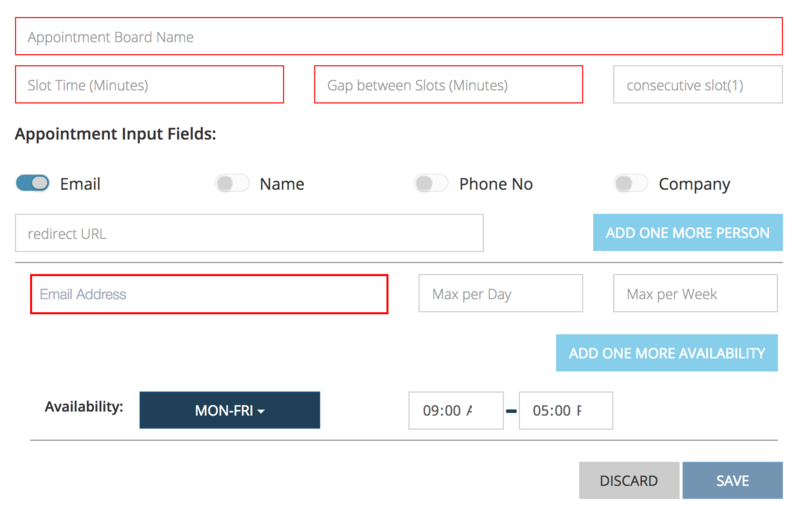 When this button is clicked, the visitor is taken to a page to provide her email address and other information like Name and Phone number and then select an available time slot that works for her. The system will choose an available representative from your company and the meeting will be scheduled. As simple as that. Select your team’s representatives, setup their availability and constraints. Add the “Schedule an Appointment” button in your website pointing to this URL. That’s all you need. You can also email the same URL to any other prospects with whom you want to schedule a demo. 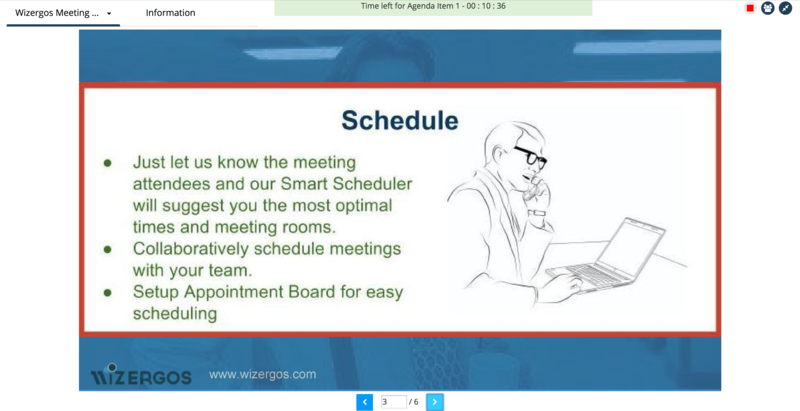 During the meeting you can use the Wizergos Shared Screen feature to do Presentations, and also take down Notes, Action Items, Minutes, Decisions.